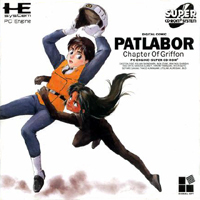 Below is a chronological listing of every release of Patlabor computer games and software releases on every format they were released on. Please Note: I'm not really much of a gamer, so if there's any info here that needs correcting, please email me. Note: Please do not ask me where bootlegs and/or downloads can be found. If you email me regarding bootlegs or downloads, don't expect any response. 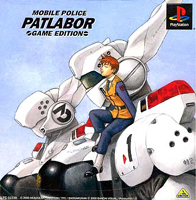 Patlabor The Mobile Police: Division 2 Mobilise! Notes: A platform action game which involves the player piloting Patlabors with a choice of three. Notes: An RPG adventure game where the player obtains clues to solve a mystery by battling other Labors who are committing crimes. Notes: An LCD Card Game where your Ingram has to stop rogue Labors. Notes: A RPG/graphic adventure game where the player investigates rooms within SV2 headquarters to solve a mystery. Notes: I believe this game uses the Griffin arc of the New OVA Series as a basis for the game. Notes: A disc full of images, interviews, data on Labors and the Patlabor universe, 3D models of the Ingram and SV2 hanger, video and special programs such as a clock. 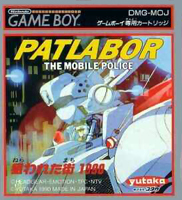 Notes: A Patlabor version of "Sim City" where the player constructions the Babylon Project. After the city is built, the player has to deal with diasters and problems in the city, as well as Labor crime. 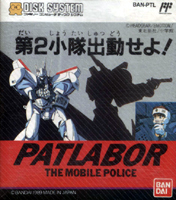 Includes a new Patlabor, the AV-5, which can be seen on the cover of the software package. Notes: This volume focuses on "Patlabor 2 the movie". It contains video of highlights from the movie, the script, storyboards, location reference photographs, CG test footage, character and mecha design sheets, layouts and interviews with the staff. Notes: An RPG style action adventure game where the player, as Noa or Ota, resolves Labor crimes in a range of situations using a range of techniques from diplomacy through to all out battles. 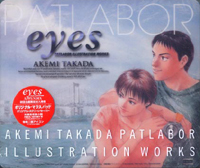 Notes: A disc crammed full of Patlabor artwork by Akemi Takada. The disc also contains some programs and icons for your computer desktop. Notes: An action game where the player battles through several stages against a number Labors committing crimes. Most of the cast reunited to provide voices of the characters on this game. The game also features a new character not seen in the Patlabor anime or manga, Midori Soratani, a Patlabor pilot. Also contained in the game is three promos for "Patlabor the Live Action Movie", which can be accessed after you clear all the levels. Notes: Based on the "Minipato" theatrical shorts, this is a shooter/adventure game where the player fights a number of rogue Labors to restore public confidence in the SV2. Other missions include apprehending a criminal in the sewers under the SV2.